By now you probably knew it was happening, but you probably didn't realize how much and how fast. If you figure subsidies, Solar and Wind are a slam-dunk powerful option. Wind prices have been dropping fast and solar has been dripping like lead... Solar prices have dropped about 86% over the last 8 years. Check out the latest 2018 report by Lazard. Note that they also analyze renewables with storage (batteries). Payback would be less than 8 years, maybe 5. The power company has historically increased prices by 3% (or more in Florida)... Not a problem if you are producing your own power. Return on investment would probably be 20% or greater after 20 years. Solar in sunny places like Florida is a pretty good investment; but with the tax benefits solar is a crazy profitable investment. Plus you are saving lots of other resources including water and carbon dioxide. We're working on a few calculators. Solar and Renewable Energy. This is a positive investment that keeps on giving. You may already have a backup generator for the house. In fact, you may have the backup generator with you just about everywhere you go. Plus, it might be totally quiet, for hours. Yep, we are talking about your hybrid gas-electric vehicle. Hybrids have been selling like crazy on the farms because they can easily be used to generate 120-volt electricity to run hand tools and generally provide backup power. Most newer vehicles offer a 120 plug, but they won’t power much. What you need is an inverter that will power whatever you want, frequently 300 to 400 watts will be sufficient for many applications. Smaller inverters can be simply plugged into a cigarette lighter, but bigger inverters should be wired directly to the battery. A backup solution for the house is rather awkward, inconvenient and requires fuel at a time when the least fuel is available, storms and outages. Here’s the cost for a generator solution. · Generator $500 (or about $500 to $1,000 for an inverter that is much quieter and provides smoother power). · Fuel, maybe 8 to 12 gals per day. At 10 gals x $3 is $30 per day. · Storage of generator and fuel cans. Traditional generators (gas or propane or diesel) provide lots of smoke, noise, and require maintenance. The generator produces electricity, even under very low loads, so much (maybe most) of the electricity (and fuel) is wasted. Generators are best used some distance from the house so as not to asphyxiate the inhabitants. Tip. Make sure not to allow the generator to run out of fuel, the sputtering causes the generator to surge which kills off appliances at an alarming rate. 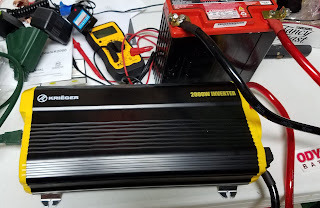 A 1000-Watt inverter can cost between $80 and $110 (modified-sine wave), and about twice that for the higher quality output of a pure-sine wave recommended for sensitive electronics. Your vehicle is rather quiet, and rather fuel efficient compared to a generator. Your typical vehicle will not be able to handle large loads, however. One approach is to set up a battery (or battery bank) that can be recharged via the vehicle. Even better is to hook up to your hybrid vehicle. The hybrid vehicle is a wonderful backup power supply, just like the uninterruptable power supply (UPS) you use for your computers and wifi. You can have continuous power as needed, when needed. Plus, the hybrid vehicle is designed to start up the motor and recharge when the collective batteries get low. Very cool. Here’s how you do it. Hook up your power inverter directly to the 12-Volt (direct current) battery of the hybrid vehicle to produce alternating current (120 AC). Put the vehicle in the “on” mode, but with all the vehicle electronics turned off, i.e., turn the air conditioner and lights off. Now, when the batteries run low, the vehicle will automatically start to recharge all the batteries, lithium as well as the 12-volt battery. Tip: Please make sure the vehicle is in a safely ventilated area. Do not set this arrangement up in the garage! So good news, you now have an inverter with your vehicle so you can use good, clean, quiet power anywhere you and your Prius happen to be. Yippee! But how about the home or cabin when the Prius is away? Get a battery or more, and hook up the inverter to it. This should help you get through several hours with just the refrigerator. Batteries of this type (deep cycle, for example) will cost $150 to $350 each. Be careful putting together your system and your battery banks. Hooking two 12V 100 amp batteries together can result in doubling of the voltage (48 Volt in series) or double the amps (200 amp hours in parallel) depending on how you hook them together. Make sure you get the right inverter to match the higher voltage if you go in series. Try to get the same batteries if you bank ‘em. I can see you eyeing your electric golf cart, you already have your own battery bank on wheels. Unfortunately, the voltage will be 36 or 48 Volts (say 6 x 6-volt batteries hooked up in series is 36 volt). Your inverter would need to match the voltage of your cart (or carefully hook up a 12-volt inverter to 12-volt battery equivalent, which in this case is two 6-volt batteries). In short, you may already have a great backup power supply solution. Hook up your hybrid to an inverter and you are good to go. Add in a battery (or more) and a solar panel (or more) and you have a nice, quiet, renewable power solution. Tip. Use a volt meter. The meter is cheap. Burning out electronics can be expensive, cause fires, shock the bejeebers out of you, and generally be very inconvenient! Do we all need to rethink the way the design/plan for (emergency) backup power? Let us know what you think? Our Sister site, IPZine, just published an article about Sustainable Ag and the Monsanto Dilemma. RoundUp is a cocktail that contains glyphosate and several "inactive" ingredients. But, don't take the research on glyphosate to guarantee an exact comparison with RoundUp which contains surfactant(s) among other agents to help the herbicide stick and penetrate. In addition, RoundUp seems to build up over time, especially with increased usage (because of increased week tolerance). Combine that with genetically modified crops, and you have a trifecta of experimentation on the world's food supply. Monsanto takes both sides of the bet, making money on the RoundUp side and on the genetically modified crop side. Even though the patents on seeds and on roundup are expiring, Monsanto has been using all means at its disposal to maintain monopoly power (on the US ag markets). Plus, there's RoundUp Ready 2 Yield(r), the next generation. Enjoy the read at IPZine and think about how comfortable you are with our US food supply? Corn that fertilizes itself with Nitrogen Fixing bacteria. This is a cool article in Science by Ed Young about a giant corn varietal in Sierra Mixe Mexico that grows in very poor soil, but actually fertilizes itself. There's a bacteria that grows around the roots that absorbs nitrogen from the air and provides it to the corn. The team of researchers led by Alan Bennett from UC Davis referred to this a "Nitrogen Fixing" which works just like roots absorbing nitrogen from the soil. In this case, the soil is very poor quality, so the corn actually gathers nitrogen from the air (78% nitrogen for dry air). One major disadvantage of this corn is that it takes 8 months to mature. The benefits are many. In a linear world of farming, row crops are raise on big farms and the crop shipped off to marked (cities), which deplete the soil. So fertilizers are needed to replenish the soil to grow the next crop. The fertilizers (mainly phosphate and nitrogen) end up running off into the water ways and result in massive ecological damage such as algae blooms and red tide. Because fertilizers are expensive to buy, and expensive to apply, farmers continue to do a better job with fertilizers. (Other factors like urbanization, turf grass and golf course are taking over lead positions in pollution generation.) 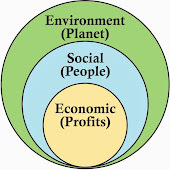 However, linear systems in farming are non-sustainable, broken systems, compared to Regenerative Farming approaches that use non-til and corp rotations to restore the quality of the soil. To commercialize this "nitrogen fixing" cereal crop requires some improvements, new varietals (sexual reproduction) or genetically engineered (GMO crops). The intellectual Property (IP) of such crops will be important. Profits and the capitalist system at work, availability to the people and countries that need it, and the property rights protections that make IP work are just a few important ingredients in the dissemination of new technology -- in this case, new crops. Found this on the Weather Channel, where it discusses a study that discusses the impacts on rising oceans on... The Internet. Business Insider discusses so called Sunny Day Flooding from high tied and kind tide. As the sea levels rise there will be more flooding. Flooding will start to hit lots of underground cables (including Internet cables) that are water resistant, but not waterproof. With all the analysis of Global Warming, most of the scenarios assume that we take some action to avoid the worst cases. Also, there had been expectations for 20-30 years that we would start to run out (or at least low) on the fossil fuels, and thereby increase costs from shortages would result in "conservation" efforts. But Fracking and horizontal drilling has changed all that. Ten years ago, noone, not even the oil baron Boone Pickens, could expect that the world would reach 100m barrels of oil per day. It was not conceivable. But we have made it. Happily burning away, even with generally more fuel-efficient vehicles. But the Business as Usual (BAU) models that were considered the absolute worst case in climate models, seems to be where we find ourselves. 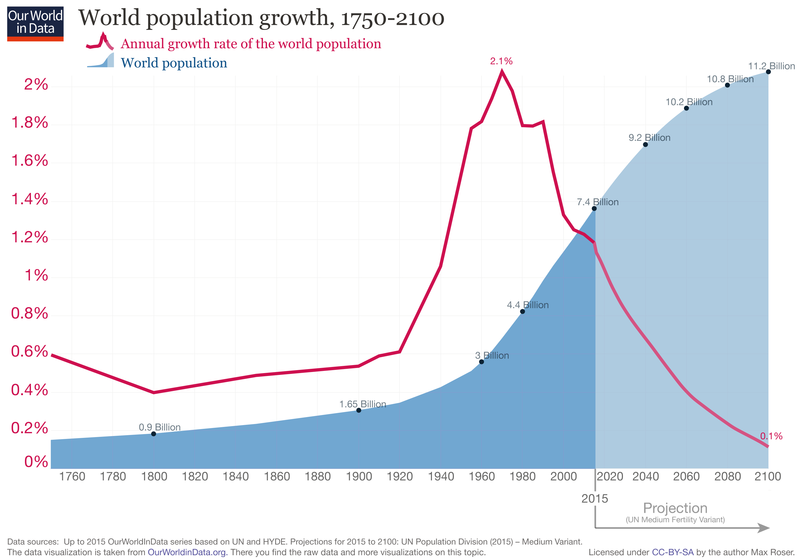 The general thinking was that we probably had about another 50 years before big problems from global warming come home to roost. Well, this study figures otherwise. Within 10-15 years these problems, and the associated plethora of costs, should start showing up with a vengeance. The water issues will be massive and devastating. Salt water intrusion will become really expensive. Imagine entire cities moving from lots of fresh water and fresh water wells, to no fresh water. Desalinization is obviously possible, but requires lots of energy, plus massive amounts of plant and infrastructure. And, we have not even begun to talk about the devastating impacts of hurricanes when the sea levels are a couple more feet above "normal". No pretty pictures on the waterfront here! It is a fun and informative show. I talked about our collective missed opportunities in energy efficiencies (EE) in buildings and telecommuting (Sustainable Remote Work centers). I like the idea of Negawatt, the Watt of electricity that is never used, so it is never produced. A similar idea is the Negagallon of gas, the gallon of gas never used because you avoided driving (like telecommuting). There are surprisingly huge savings from both building efficiencies (Negawatts) and teleworking (Negagallons). These are both win-win-win ideas that Bob Hinkelman – a partner and coauthor (2017, 2018) – and I have worked on and have amazing potential. could save about $300B in the US each year with the “change in your pocket” (things like programable thermostats, LEDs, smart meters, caulk and duct tape), i.e., stuff that has a payback immediately or within one year. (See Alliance to Save Energy for great tips.) For new construction, a greener building can have 80% lower operating costs and be healthier, while costing within 10% of more traditional construction costs. EE TIP2. First take your energy use down through energy efficiency, thereby reducing dramatically the energy requirements when evaluating the next steps toward a zero-carbon footprint like solar, wind and geothermal. Telework TIP. Selectively pilot teleworking from home and log the time, distance, and productivity. In both building EE and telework, it is important to monitor and measure result. It is especially important to monitor the many benefits of the Negawatt and the Negagallon that don’t immediately show up in dollar savings. Allocating the financial savings is a nice way to fully enjoy the direct savings as well. Smart Savings and disposable Income. Savings of energy, say $100, is worth much more than the equivalent of income. An individual would need 30% to 50% more in salary (say $130 in gross income or $150 dollars for the employer) to equate to the same amount of disposable income. For a business with 10% net income, it would require about $1,000 increase in sales to equate to $100 increase in disposable cash. This is a perpetuity of savings (or a commitment to the increased sales indefinitely). $TIP. Log the results and put the savings into a separate account or fund. The $100 per month that would have gone to utilities could, for example, be automatically posted to an IRA account, potentially amplifying it by your tax rate. Or, use the savings to help pay for a Solar PV system. $TIP2. The 30% Federal Tax credit for energy efficiency for individuals makes the investment in new energy efficient appliances and renewable energy very attractive, usually with a 3- to 9-year payback (and life-time present value is often double your investment). commuters should be able to telework once a week or more. This utilizes current technology and does not require any government “help”. credits (like in California) or utilized by the company for its own internal costing structure in Corporate Social Responsibility reporting. on drive-alone commuters (and include costs that are reasonable, but not included in the 2010 Lister study). The environmental savings are less than $2,000 per telecommuter by Lister, but we estimate that number could be much higher, like $5,000 to $10,000, when considering the big externality costs. All things considered, the savings from a full-time-equivalent teleworker could be $40,000 to $50,000 per year. The savings to the employer, employee and environment are massive. Individually, we are missing big opportunities every day. Put those savings together for everyone, and it makes a world of difference. See – well, listen, actually – to my Solar-Fit Renewable Energy radio show: Elmer Hall on 05/26/18. What do you think? California is 1/3 of the US economy and probably 1/3 of the US housing market. So, when California voted today to have mandatory solar on most new construction houses, this blows the top off of the non-solar rooftop. Headlines read that the CA house will now cost about an additional $10,000 to build with the energy efficiency and solar roof mandates. This Bloomberg article says that the savings will be about twice the increase in building costs. True, it costs more to build, but the operating costs are dramatically less. This is related to new houses, so the decision is easier than for an existing house. So, a $40,000 system in Florida is $28,000 after a 30% federal tax credit. The payment on the loan would be equal to, or less than the payments for electricity, on average. And, after you pay off the system in, say, 15 years, you have about $250 worth of net savings per month for a long, long time. That's $3,000 per year in year 15; as a perpetuity, at 5% interest, the net present value is about $29,000 positive. Wait a minute. That is more, net present value-wise, then the entire out-of-pocket cost of the system if you had paid cash up front (less the tax credit). But you may not have paid any cash up front for it and paid all loan/lease payments from the savings on the electric bill! So, if the same math applies for a $300,000 home in California (cause everything's far more expensive in California), which is now increased to $310,000. The additionally $10k can be separately financed; probably, with terms of nothing down and loan payments that are less than the electric bill. That is, from day one, the cash flows from operations are as good or better than paying full electric bills. Once you pay off the PV loan, you now have free electricity, for a long time. Plus, it is good for the environment and reduces CO2 emissions, and significantly reduces the reliance on centralized energy production form your favorite power utility. The net present value of the cash flows may be $10-$20,000 positive. A couple important factors: Power companies have traditionally increased costs by more than the level of inflation (inflation at about 2% and rising). Inflation and interest rates should rise significantly with full employment. PV technology reduces very slightly over time (0.5% per year). The private PV power system protects against the rising costs of power. New CA Solar Mandate will increase home costs by about $10,000 but offset by about twice from the reduced of operating costs. Another win, win, win of sustainability. This should not be a hard decision to make, in any sunny state. The mandate should not be necessary. Consumers should be making this decision as a smart decision, not just a green decision. Being Green, and making Green too.